Below are key messages and talking points. As a member of TPC, we hope that you will use every opportunity to communicate these messages to others. Please help us get the word out by sharing this information whenever you are able—to your friends, family, coworkers and community. The basic top-line message track—the “elevator” speech. Note: Use the bolded items when you only have 5 minutes or less to get your point across; the sub-messages [unbolded bullets] —can be used when you have more time to chat. 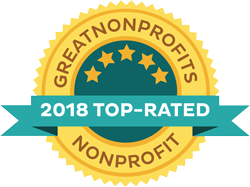 TPC is a nonprofit, consumer organization that provides support (through an online community) where education and advocacy for people living with pain is promoted. TPC encourages people with pain to be active participants in their overall health and pain care. TPC works collaboratively with other organizations to advocate for optimal pain care for all people with pain. TPC embraces, promotes, and educates people with pain about integrative pain management—an approach that focuses on wellness, addressing the “whole” person. TPC promotes an approach to pain care that is positive, hopeful, and empowering. TPC brings together all appropriate therapeutic approaches (both conventional and complementary) and health care professionals to reduce pain and achieve optimal health and healing. TPC feels that it is immoral and unacceptable for the underserved populations NOT to have adequate access to quality pain care. TPC recognizes that ethnic minorities, women, the elderly and those who are socioeconomically disadvantaged are a vital part of our diverse community of people with pain. Core programs are developed and designed to maximize TPC outreach to ensure inclusiveness and respect for all populations living with pain. TPC understands that pain medications (opioids) may be a necessary part of a comprehensive treatment plan for some people with pain. As with all other pain treatment options, TPC educates about the potential risks, benefits, and side effects of these medications and how to use and store them to keep yourself and those around you safe. Our Mission: To support an active, energized and diverse community by promoting Comprehensive Integrative Pain Management (CIPM) education, wellness information and advocacy for quality pain care. Our Vision: People with pain are informed experts who actively manage their pain conditions to achieve better health and wellness in partnership with their healthcare providers. Who we are: TPC is a well-established, web-based organization operated by a diverse team of volunteers representing patients, caregivers, healthcare professionals, academics, researchers, and advocates. We believe that our team of volunteer board members reflects diversity of perspective and expertise with years of experience working in, and navigating through, the complexities of pain management. What we stand for/what sets us apart: What differentiates TPC from other organizations is that TPC engages all stakeholders in advocating for and supporting Comprehensive Integrative Pain Management (CIPM) . Together we embrace, promote, and educate others about a comprehensive integrative approach to care which is positive, hopeful, and empowering. A caveat: it requires an understanding that there are no quick fixes for pain, particularly when pain becomes chronic. To heal and achieve a new level of wellness takes work by both the person with pain and their health care provider(s). TPC provides a safe and informed place for everyone – all genders, races and ethnicities, abilities, sexual orientations, gender identities, ages, spiritualities, and more – with discussions in chat rooms, blogs, and fact sheets for people with pain, advocates, and professionals. We recognize that our experiences are similar and we encourage empowerment and participation in healthcare choices through education and dialogue. Additionally, healthcare professionals and researchers can find information and perspectives of people with pain. This fosters empathy and opens up opportunities for discussions to facilitate best practice treatments. TPC shares their key messages to others based on this model of pain management. In addition, TPC is committed to demonstrating transparency about fiscal health and operations. This information is publicly available in the financial transparency section. Online support: A 24/7 online support community that offers live chats, discussion boards, and blogs. These are private and secure where members can participate anonymously. Pain information and useful resources: A dedicated website section where pain resources can be easily searched. Consumer education: A dedicated website section that includes resources for people with pain on a wide variety of topics including: disease-specific information, treatment options and their safe use, coping techniques, communication tools, and healthy living with pain. Advocacy for individuals: A dedicated website section to encourage and teach people with pain how to advocate for themselves to get the care they need. It assists caregivers, friends, family, and health care providers with how to advocate for quality pain care for people with pain. Take control of your overall health and the management of your pain. Start by making healthful lifestyle changes such as eating well, moving/exercising, reducing stress, etc. Insist on a thorough assessment and a treatment plan that includes options. Insist on care that is person-centered and tailored to your individual needs. The plan should consider who you are—in mind, body, and spirit, and in the context of your environment, not just what condition you may have. Insist on care in which there is open communication between you and your health care providers. Understand that there is no single medication or procedure that will make you better. Learn about and consider all appropriate modalities (both conventional and complementary and alternative approaches), and clinicians to achieve wellness (including your physical and mental health, function, meaning and purpose). Get engaged. Get active. As much as possible, start doing things that bring pleasure and meaning to your life. Above all, understand that there is hope—that you can get better. You can become stronger and healthier in your body and mind, and with that, regain function, reduce your pain, and restore meaning and pleasure to your life.